One of the many seminars that were held during the 2009 Chicagoland Int’l Pipe & Tobacciana Show was the Dunhill Focus Group. It was moderated by Craig Cobine and included guest speakers Rich Esserman, John Loring and Mike Reschke - all well-versed and well-known individuals in the pipe collecting community. Each of the three gentlemen spoke in their areas of expertise at length and in detail. In this article we bring you a partial transcription of Rich Esserman’s presentation. 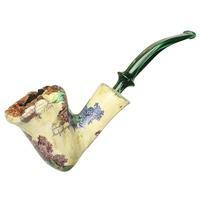 Rich Esserman is well-known in the world of pipe collecting and pipe smoking. 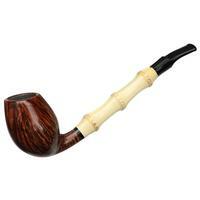 He is perhaps best known as a collector and lover of Dunhill Magnums. 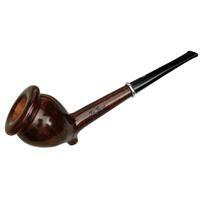 For the uninitiated, and in the stereotypical vernacular of the Jersey Boys that Mr. Esserman and the author are, "Dem are freakin’ huge pipes!" In the world of wine, a magnum bottle holds about twice as much as a regular bottle. In the world of pipes it is even more than double. Magnums are very large pipes that were produced to be used for store display purposes. Rich started out with an entertaining story about collecting in general. His words follow.